To mark the release of the first ever printed edition of The Greater London Night Bus Map, I have launched a high quality promotional ceramic mug. 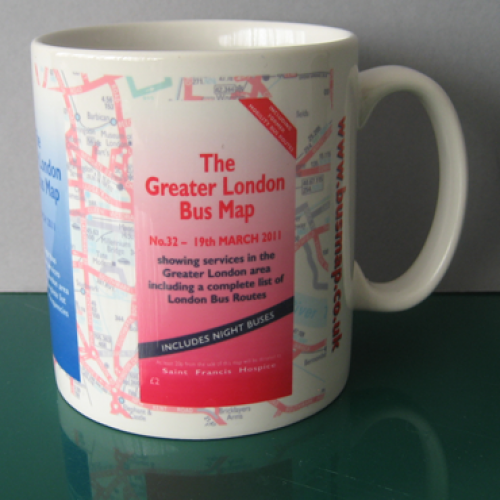 These mugs are dishwasher and microwave safe and are a Limited Edition and exclusively available from The Greater London Bus Map Shop. To mark the release of the first ever printed edition of The Greater London Night Bus Map, I have ..